Nurnberg's Bundesliga survival hangs on a final day showdown at Schalke following a 2-0 home defeat to Hannover. Szabolcs Huszti and Manuel Schmiedebach scored either side of the half-time break to condemn the home side to a sixth straight league loss. 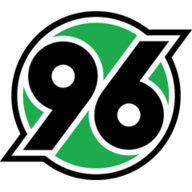 Hannover, safe from the threat of relegation, dampened the mood in the stadium after six minutes with Artjoms Rudnevs unselfishly assisting Hungarian attacker Huszti for his eighth goal of the season. The half panned out evenly with Roger Prinzen's men failing to take advantage of many set-piece opportunities. Prinzen has yet to steer the club to any points following his appointment as interim coach in the wake of Gertjan Verbeek's dismissal. Hannover doubled their advantage six minutes into the second half, as Schmiedebach charged through the heart of Nurnberg's defence to tuck the ball past Raphael Schafer. 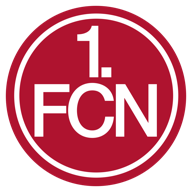 The midfielder's first goal of the season was endemic of the defensive issues in Nurnberg's ranks this season as he was left unchallenged on his route to goal. The hosts remain in the second automatic relegation position having spent most of the afternoon bottom before Augsburg's stoppage-time winner in Braunschweig. But Hamburg's defeat also leaves a glimmer of hope for the Franconians, who visit the Veltins Arena on the final day of the campaign.